Most of the items in your house are used for one specific purpose. They each belong in a certain room and there is rarely any overlap. But is there a more practical way to get the most out of your products? What if you started using items designed with one purpose for something completely different? Would it cause absolute anarchy within your home? Doubtful. In fact, it would most likely end up saving you a lot of time and money to use various products for more than just their usual job. Whether you're going on a trip or you just need to put some clothes in storage for a while, garment bags are good to have on hand. But who wants to spend money on something they might not use very often? Instead, grab a pillowcase you no longer need, a pair of scissors, some Velcro and a hanger. 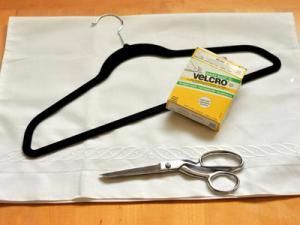 In a matter of minutes, you can make your very own garment bag. And the best part? There's no sewing required! Stripped screws are a pain to remove, especially if you don't have the option of any tools other than a screwdriver. There is, however, a method to removing these screws that doesn't involve a trip to the hardware store. 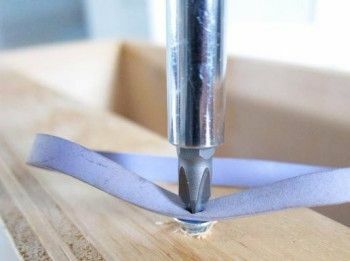 Just place a wide rubber band over the head of the screw and push extra hard with your screwdriver while you turn it. The rubber in the band will provide extra grip so the stripped screw will come out of the wood. If you've ever bought a pair of nice pants, then you probably have one of those plastic hangers with the clips on it. But if you don't continue to hang your pants on this hanger, what do you do with it? Before you throw it away, take a look around your kitchen and see the potential uses. 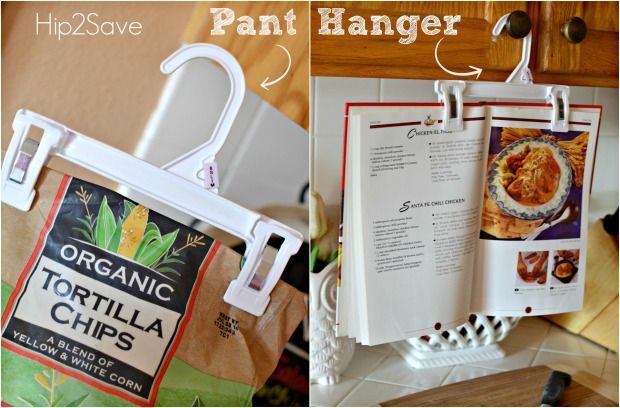 You can use the clips on the hanger to hold closed a bag of chips. 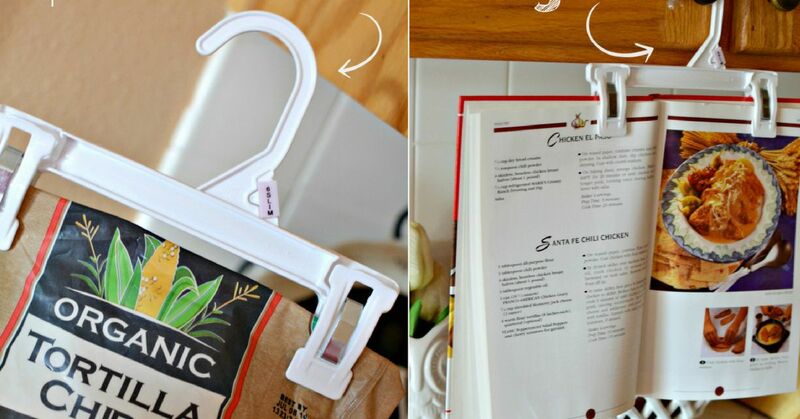 You can hang it over a knob on your cabinets and clip a recipe or cookbook at eye level. You can even use it to hold dish cloths that need to dry. When you finish a loaf of bread, you probably toss the bag and the bag tag in the trash. Instead, hang on to those tags and label them. You can then hook them onto your various chargers and cords so you'll never again unplug or plug in the wrong object and you won't have to follow the cord to make sure it's the right one. 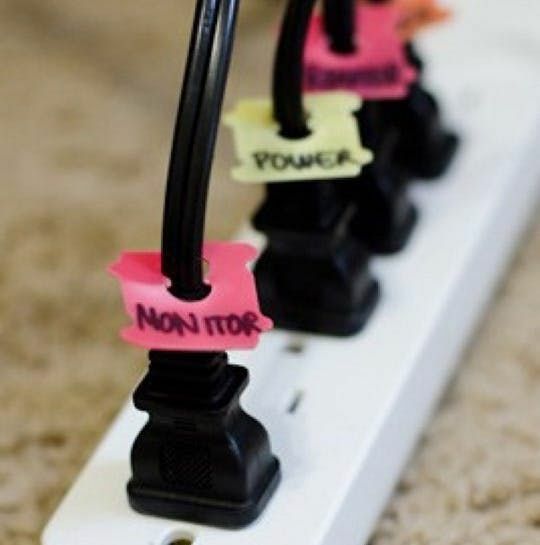 And if you're really ambitious, you can color code your tags so you'll remember which appliances should be unplugged when not in use. If you have a purse or wallet to match every outfit combination, then you also need somewhere to keep all of your fashionable accessories. You could stuff them in a drawer or pile them up on a shelf somewhere, but then they're not easily accessible and your closet will start to look messy. 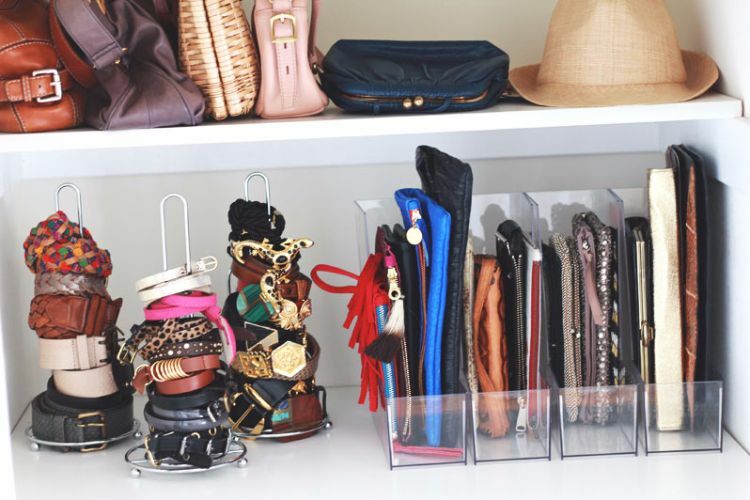 But if you put a few clear magazine racks on a shelf in your closet, you can store your purses and wallets inside of them where they're neatly on display and easy to grab. Certain recipes call for complications, like separating an egg yolk from the white. (This probably isn't complicated for most people, but we can't all be 5-star chefs, can we?) There are a few methods for separating parts of an egg, but this one might be the easiest. 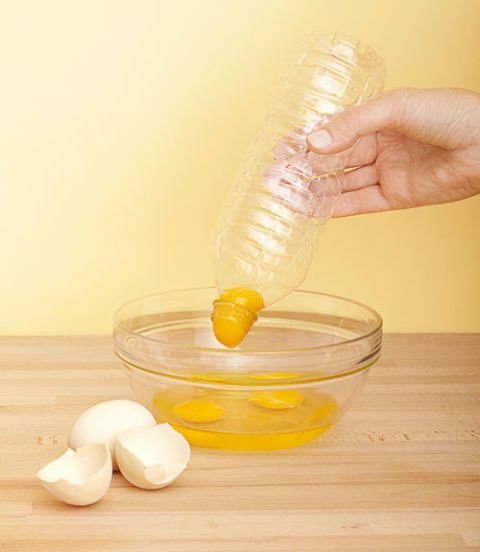 Just crack your eggs into a bowl, take an empty (and clean) plastic water bottle, squeeze the bottle, hold it over the egg yolk, loosen your grip to create a vacuum-like suction to grab the yolk and then squeeze it out into another dish. Some people throw their sneakers in the washing machine when they start to look a little grungy. Other people spend money on expensive shoe polish. Still others just ignore the gunk on their shoes and go on with life. 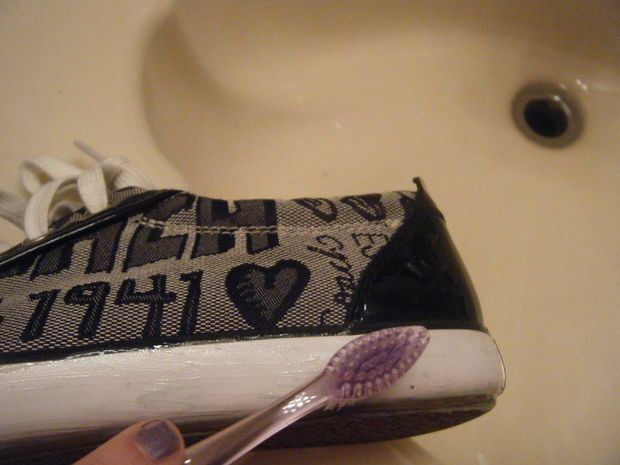 But there's a way to whiten your shoes that involves nothing more than a few items from your bathroom. Start with a damp cloth, squeeze on a small glob of toothpaste and then scrub your shoes. For stubborn stains, scrub with an old toothbrush and then use a dry cloth to wipe off any excess toothpaste and dirt. Have you ever been in the middle of showering and grabbed your can of shaving cream only to discover that it feels way too light? You can't run to the store for a new can at this point and you're already wincing at the thought of trying to shave with just water. So what options do you have? Body lotion actually works as a great alternative to shaving cream and will leave your legs feeling extra smooth. When you're running late in the morning, you don't always have time to ensure that your clothes look their best. You also usually can't spare a few minutes to drag out your ironing board, wait for the iron to heat up and then remove any wrinkles from your clothes. Lucky for you, all you really need is a hair straightener. 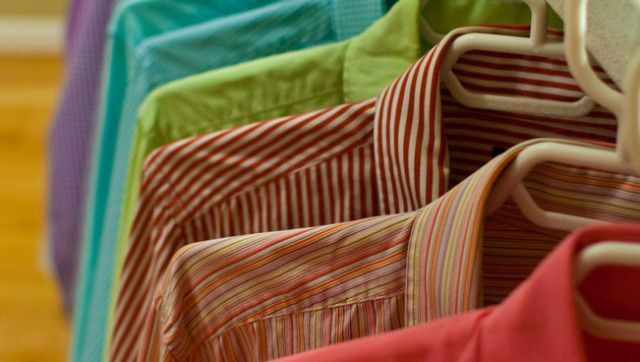 Put it on a low heat setting for delicate material or a higher setting for thicker fabric and quickly smooth out the wrinkles in your favorite shirt without being late for work. Most people wear socks on their feet and use them for only that purpose. But yours aren't the only feet that occasionally need to don a pair of socks. If you're moving furniture around on hardwood floors, you run the risk of scratching your floors. 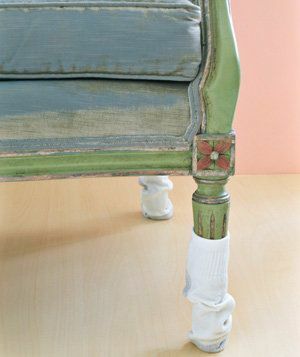 So next time you decide to rearrange your furniture, just slip a sock onto the "foot" of every chair. You'll be able to slide your chairs around the room with no damage to the floors. Imagine all the time and money you can save by using your normal household items for more than just their intended use. With some of these tips you can get double or even triple the amount of use out of these products. And don't forget to share this list with your friends on Facebook to help them use their household items more efficiently as well!